The breakfast will take place from 7 to 9 a.m. Tuesday, March 19, at the Wingate by Wyndham, 3041 St. Rose Parkway in Henderson. As the chancellor and former chancellor, Klaich and Rogers, respectively, bring decades of experience in Nevada and its higher education system to the community. 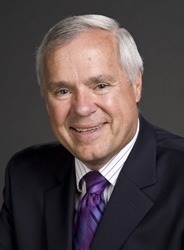 An attorney, Klaich is a native Nevadan and a 1972 graduate of University of Nevada, Reno. He also served on the Board of Regents of the Nevada System of Higher Education from 1983 to 1997, which included two terms as chairman. 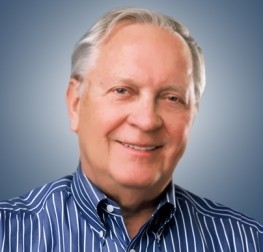 Rogers, who preceded Klaich as the interim chancellor, is a 1956 graduate of Las Vegas High School and went on to earn his law degree from the University of Arizona and master of laws degree from the University of Southern California. He founded the Valley Broadcasting Company in 1971, which included Las Vegas’ NBC affiliate. He now owns the Sunbelt Communications Company, which operates the NBC affiliate television stations in Las Vegas, Reno, Elko, Yuma, Ariz.; El Centro, Calif.; Helena, Mont. ; Pocatello-Idaho Falls, Idaho and Casper, Wyo. as well as a Fox affiliate in Twin Falls, Idaho. The event is $20 for members, $40 for non-members. Attendees can RSVP by Friday, March 15, at www.hendersonchamber.com/events. There is an additional charge of $10 for walk-in participants. Cancelations are required by the RSVP deadline to receive a refund.